CRT Capital upgraded Akorn, Inc. (NASDAQ: AKRX) from Fair Value to Buy with a $46 price target. “Clobetasol represents a large market, counting over 6 million retail prescriptions in the US in 2013. The majority of those, about 84 percent of the prescription count (and likely 50 percent of the total amount spent) are for the cream, ointment and topical solution presentations,” according to the analyst report. Akorn recently traded at $38.33, up 1.73 percent. iPhone 6 Vs. 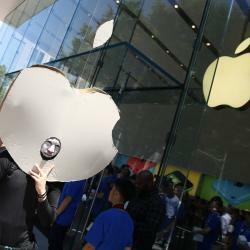 Entire Galaxy Line: Will Apple Win The Holidays?